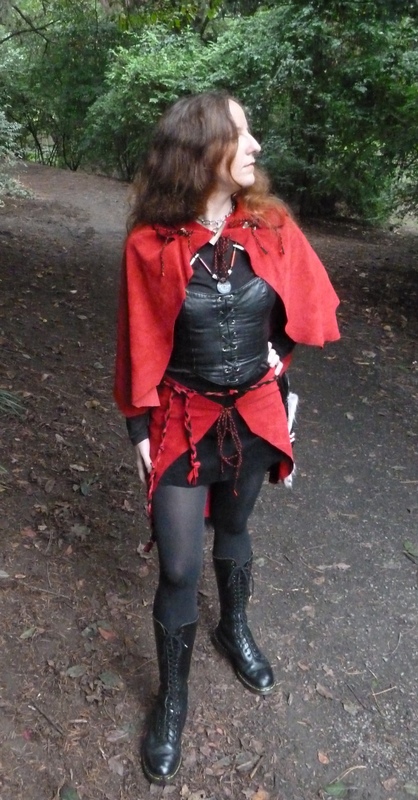 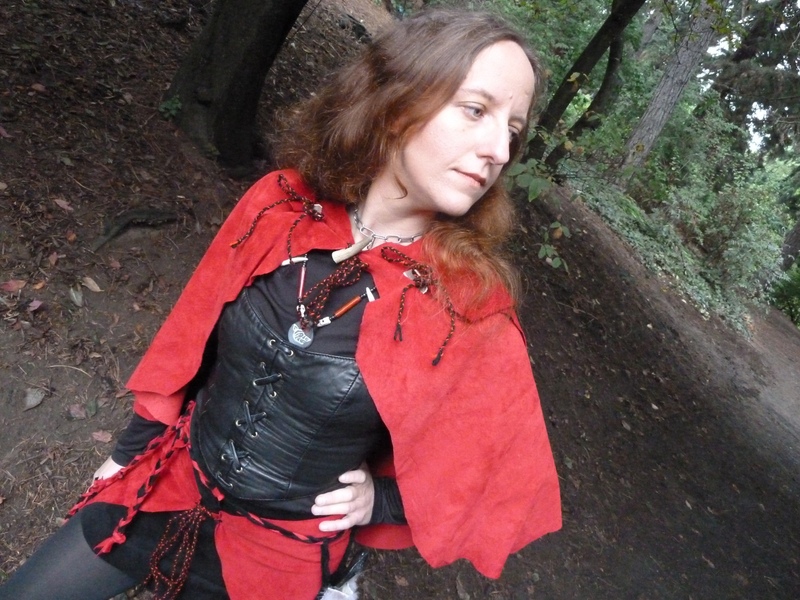 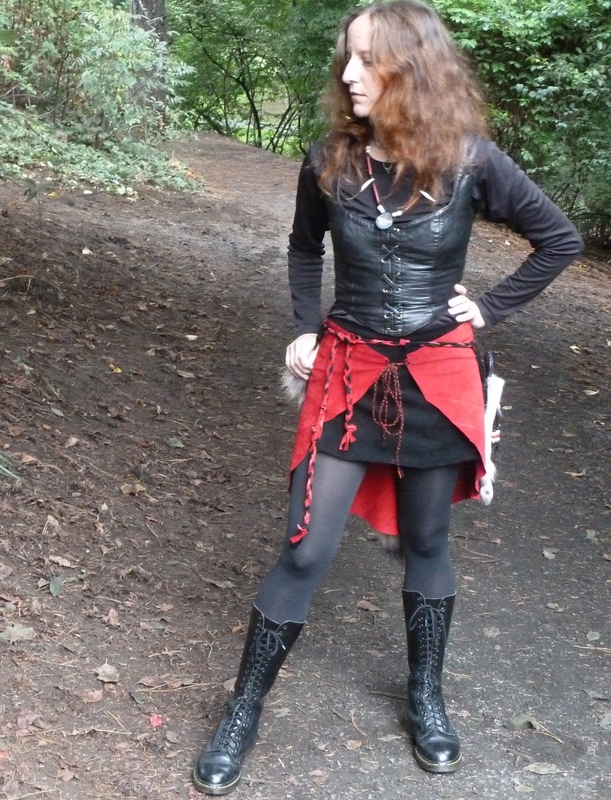 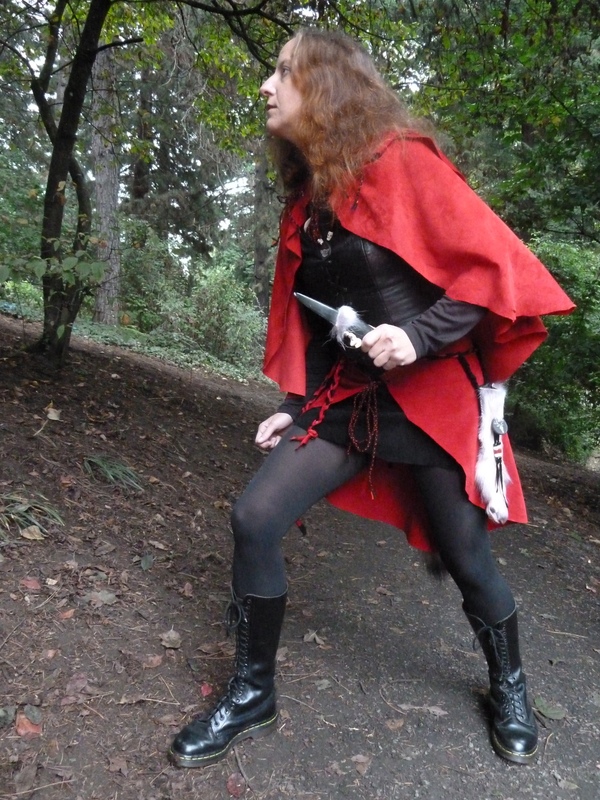 Lady Red Riding Hood was my Halloween costume for 2011, and my first attempt at a more elaborate, multi-piece costume. 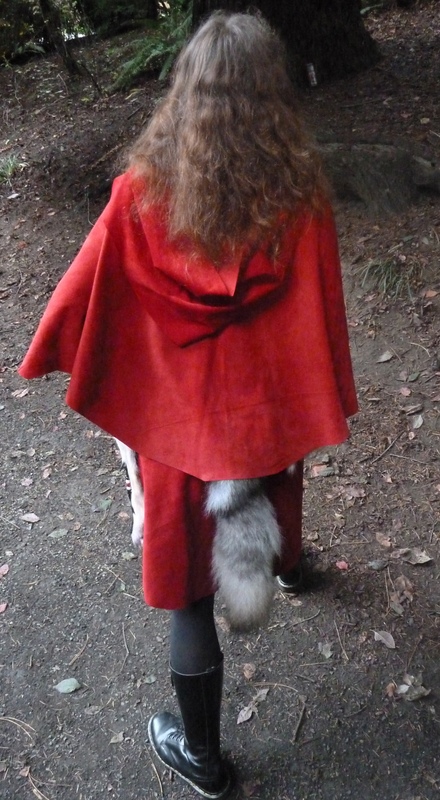 I had created simple mask/headdress and tail sets, but this was my foray into a more dedicated costuming effort. 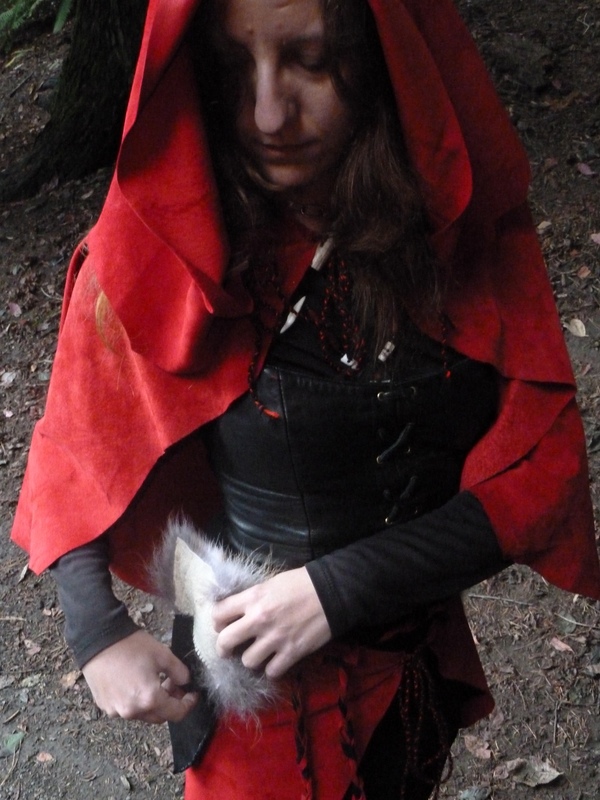 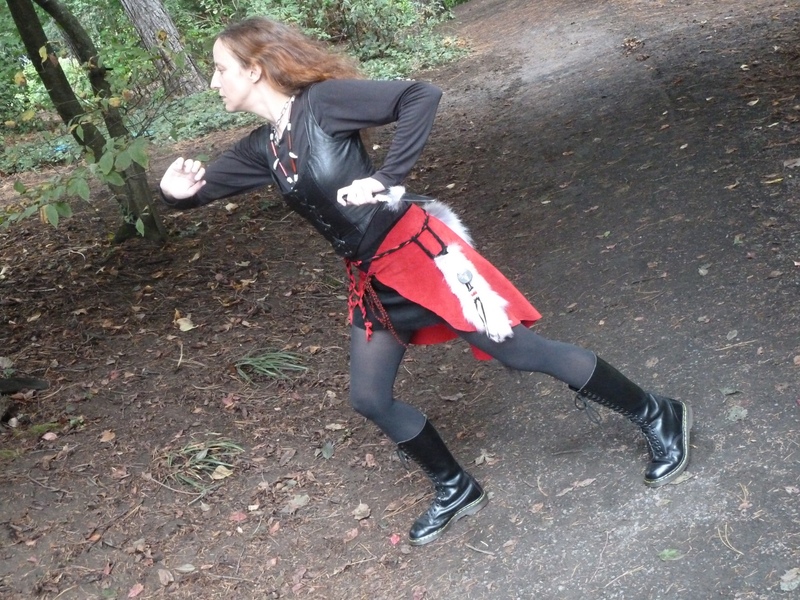 The hood and skirt are made from pigskin suede, with hand-braided secondhand yarn ties and elk antler closures. 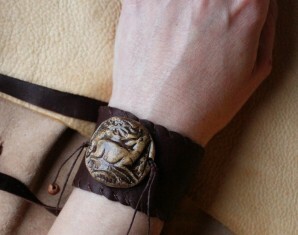 The braided leather belt features a handmade wolf jaw and horn knife with wolf paw sheath, a suede pouch, and a wolf tail on a belt loop. 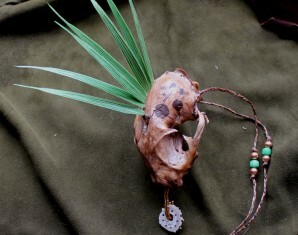 The necklace is made from a variety of glass and other beads, with a handmade ceramic pendant. 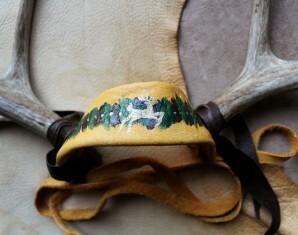 Not pictured are a wolf fur mask and an elk antler and glass jar lantern.